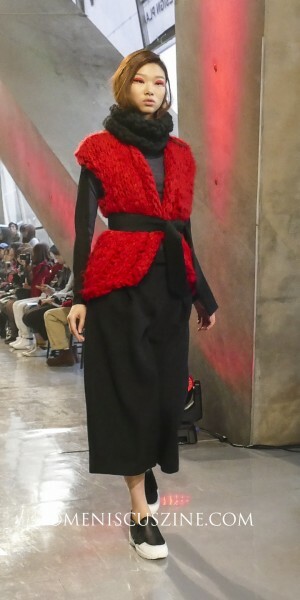 It is rare that this reviewer actually states out loud, while a fashion show is in progress, that she wants to own every piece in an upcoming collection. 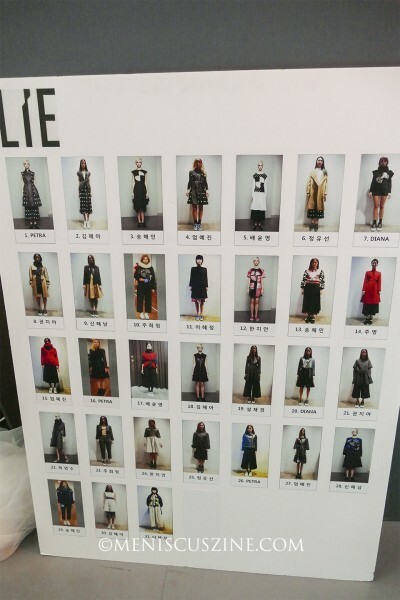 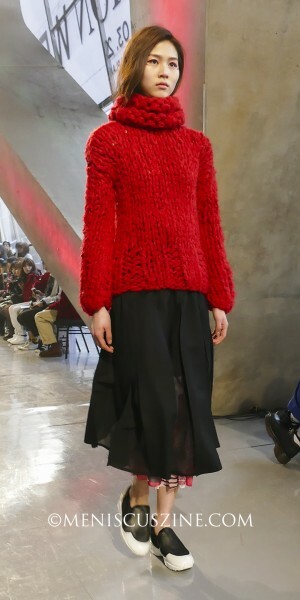 But that was exactly what happened at the LIE Fall 2015 runway show at Seoul Fashion Week. 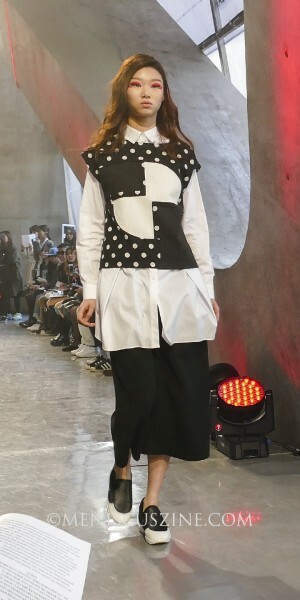 Drawing from the styling of the 1960’s, creative director Lee Chung Chung integrated geometric shapes into skirts, sweaters and trench coats in a “Reconstitution” collection that was equal parts playful and sophisticated. Rather than overwhelm the wearer with prints, Lee cleverly mixed materials and patterns to create the illusion of dimension. 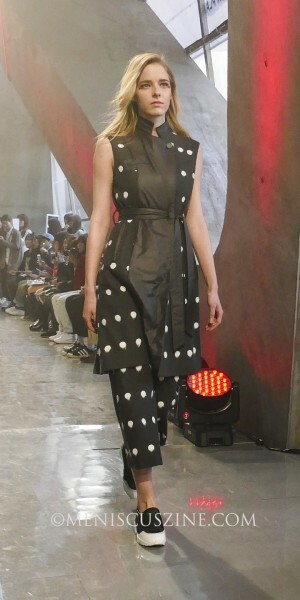 A black and white polka-dotted pattern on one short-sleeved top was broken up by transparent horizontal stripes, whereas the otherwise solid-colored squares and partial circles on other pieces featured subtle bumps and ridges. 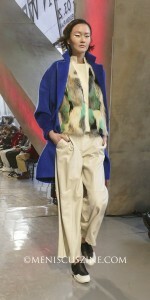 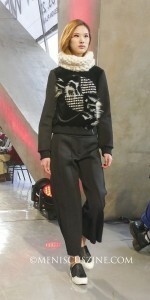 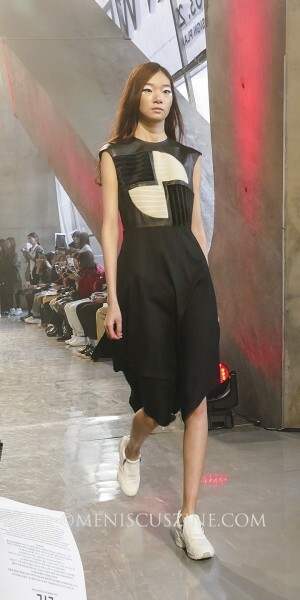 Other items, when deconstructed from their layered runway styling, proved to be suitable for year-round wear. 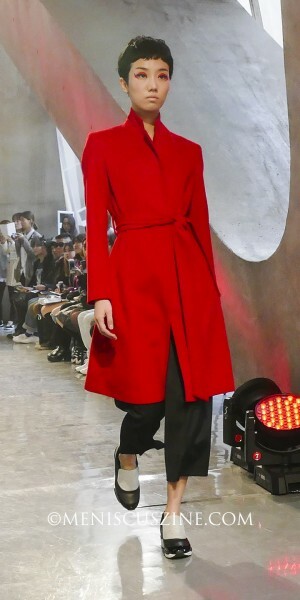 Particularly effective was Lee’s usage of camel, bright red, blue and even solid white, a visually appealing contrast to the shades typically seen in wintertime. 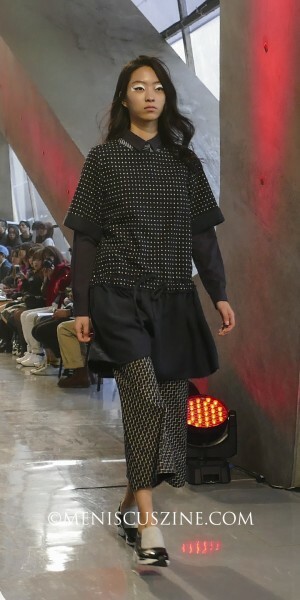 LIE (pronounced Lee) is designer Lie Sangbong’s contemporary line intended for a younger consumer segment than his ready-to-wear line shown in New York, Paris and Seoul. 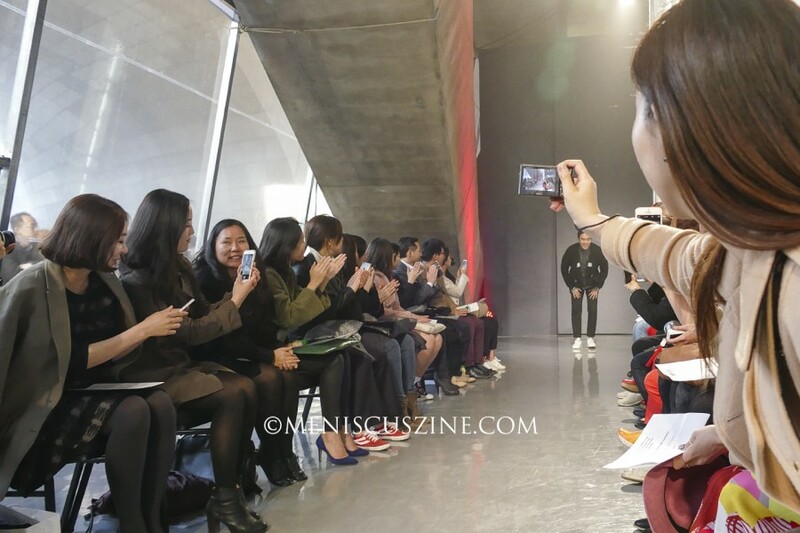 It targets women in their 20’s and 30’s, and is available at the Doota shopping mall in Seoul, among other retail locations.